Friday: Ethan and I gate-crashed an overnight activity of an exclusive school in Las Pinas. The activity was all about the moon and the stars. Yes! It was moon-stars viewing through powerful and expensive ( at least 500,000 Php each ) telescopes. The activity was made possible by AstroCamp. The group brought in 15 powerful telescopes to view the moon, saturn, mars, orion, and jupiter. Cool! Saturday: We had dinner at Italianni's. Freaking Expensive. At right, me eating Sicilian salad. Yummy! It's garden fresh salad with mango, grape, almond nuts and grilled chicken. note :Ethan's hand reaching for my fork! 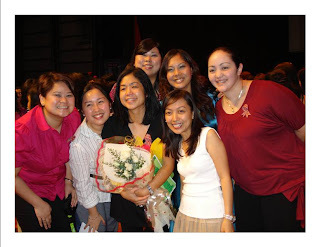 Sunday:AC Chorale had its 20th anniversary concert at PCI Bank Auditorium. We watched as alumnae sang Bridges and Handog with the current group. It was a touching moment when former members composed and sang a song for the chorale's conductress of 20 years, Tina Yulo-So. i missed eating at Italianni's. yeah, it's expensive but the food is real good. 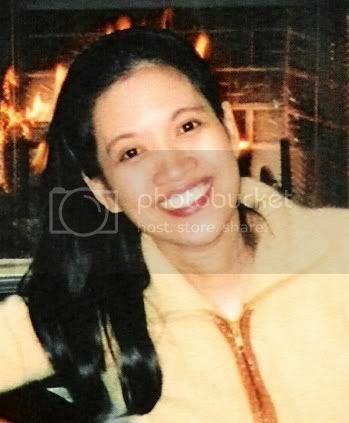 grabe to the max, ms, yulo DID NOT age a bit! She looks even prettier now! 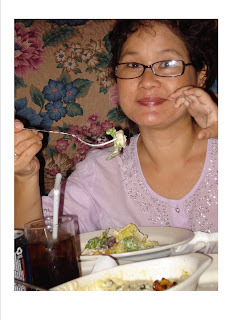 ..Dun sa picture mo with the salad, bakit parang merong maliit na kamay ready to grab it from you...hahaha. Anyway, I have a small token - thank you token baga - for you in my blog. ivy. money can buy a youthful look!